Camp Objective: The camp is designed for boys in grades 1-10 who are interested in learning the fundamentals of lacrosse and to broaden and develop their skills to a higher level. The overall purpose of the camp is to provide participants the opportunity to learn, improve skills and enjoy the game of lacrosse. 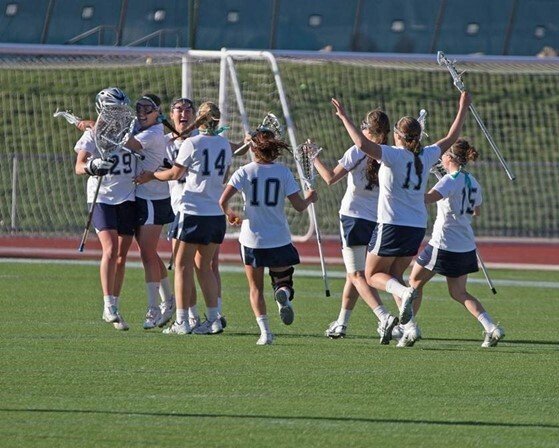 Whether you are new to the game of lacrosse or an experienced player, this camp is for you. Staff: Gerry Holly, Exeter High School Varsity Lacrosse Coach; and other local coaches will handle the instruction of the camp program. Please contact with any questions. Date & Time: Camp will run Monday, June 26th – Thursday, June 29th, 2017. Time will be 8:30 – 11:00am. Location: Linden Street Fields behind Tuck Learning Campus. Throwing Shooting Scooping Defense Team Concepts Cradling, Catching Offense Scrimmages, Fastest shot competition for all age groups. *Each player will leave the camp with an Exeter Lacrosse T-Shirt and an individual plan for skill development. Equipment: Campers should bring a water bottle, gloves, stick, mouthpiece, helmet, arm pads, shoulder pads, cleats and shorts. Campers are encouraged to see their local youth coaches for equipment. Registration/To Enroll: Go to www.exeteryouthlacrosse.org and click on Register On-Line, choose Exeter Boys Lacrosse Camp and follow directions from there. The cost of the camp is $80.00. Credit card payment preferred but if paying by check make check out to Exeter Youth Lacrosse and mail to: 5 Blackford Drive, Exeter, NH 03833. Please note: If paying by check, payment must be received on or before the first day of camp. Please register by Friday June 23rd. EYLA is a non-profit organization. Camp Objective: This camp, which is under the direction of Courtney Preneta & Mike Boyle, is designed for young girls in grades 1-8 interested in learning the fundamentals of lacrosse. The overall purpose of the camp is to provide participants the opportunity to improve skills and learn to truly appreciate lacrosse. Camp is open to beginners as well as advanced players. Proceeds benefit the high school girl’s lacrosse program. TUITION/REGISTRATION: Go to www.exeteryouthlacrosse.org and click on Register On-Line, choose Exeter Girls Lacrosse Camp and follow directions from there. The cost of the camp is $65.00 for the first child, $50.00 for each additional child. Credit card payment preferred but if paying by check make check out to Exeter Youth Lacrosse and mail to: 5 Blackford Drive, Exeter, NH 03833. Please note: If paying by check, payment must be received on or before the first day of camp. EYLA is a non-profit organization. HEALTH CARE: Parents or guardians must complete & sign the parent consent form. Our goal is to bring together boys from the Seacoast area and through our passion for the game teach them the skills and values of lacrosse. As much as we will be keeping the majority of our emphasis on lacrosse, we will also make sure that every camper is having a good time. The reason why we play lacrosse is to have fun! The Ultimate Lacrosse Camp selects premier players from every position to provide the camp with a well-rounded and dynamic coaching staff. Councilors will be comprised from both current and former players representing Divisions I, II, and III. These coaches are selected not only based on their ability to perform on the field but their etiquette, devotion, lax IQ and desire to share their passion for the game with the younger players. Lunch will be provided daily. Once again we will have a college coach visit to share his lacrosse experiences as well as tips on what a coach is looking for in a player and to discuss lacrosse with the boys. We look forward to meeting your player and working with him during camp. Girls in grades 6-12 Fall of 2017. Cost: $450 a deposit of $200 or full payment are due at the time of registration. All balances are due by June 5th. Cost: $375 a deposit of $200 or full payment are due at the time of registration. All balances are due by June 5th. GROUP DISCOUNT AVAILABLE!! Group/Team discounts for overnight campers will be available to 5 or more campers for $400. Please contact for the discount coupon code. *Groups of 5 or more must register within the same week period to receive the discount. Refunds can be issued if requested in writing at least 30 days before the start of camp. A $100 administrative fee will be assessed to cover administrative costs. Refunds will not be issued within 30 days of camp unless extenuating circumstances exist and will be reviewed on a case by case basis. No refunds will be issued on or after June 19th. Please contact Kate Gunts to request a refund. Goalies are responsible for bringing their own equipment. Sessions will be held on field turf and grass; cleats and/or turf shoes are strongly recommended. Please distribute the following to your players. Each session has a goalie school. NH Tomahawks Futures program teaches lacrosse fundamentals in a fun and engaging way. Futures players will learn all the basics needed to begin their lacrosse playing career. This program is geared toward players with 0 to 2 years experience. Players will be grouped by ability.